Telkom’s R449m fine handed down this week for anticompetitive practices could be only the start of its problems. Senior competition lawyers are expecting a string of damages claims from its competitors. The Competition Tribunal found Telkom guilty of anticompetitive practices, which opens the door to civil claims. Telkom’s fine amounts to 5% of its market capitalisation of R9bn, or two-and-a-half times the telecommunications company’s operating profit of R179m for the financial year ended 31 March. It is seen as yet another blow to Telkom, whose share price has dropped by more than 40% since February. The cabinet recently decided to veto the sale of 20% of its equity to Korea’s KT Corp. The tribunal has allowed Telkom to pay half the fine within six months and the other half within 12 months after that. But this is not Telkom’s only concern — it has to go before the tribunal a second time in June next year in a case involving conduct similar to what it was found guilty of this week, although covering a different time period and different technology. Sources familiar with the second case said that it was even stronger than the first. The first dealt with anticompetitive behaviour between 1999 and 2004 and the second with alleged anticompetitive behaviour between 2005 and 2007. The Internet Service Providers’ Association said it was gratified that the tribunal had found Telkom guilty. “Thanks to the Competition Commission’s commitment to pursuing this matter, what has been a long and arduous process that the association and other complainants embarked on way back in 2002 is now, hopefully, at an end,” association co-chair Marc Furman said. The association is studying the judgment in detail, which will determine whether it will take further action and what that might be. Those affected by its behaviour could sue Telkom for damages, although it could take the matter on appeal. 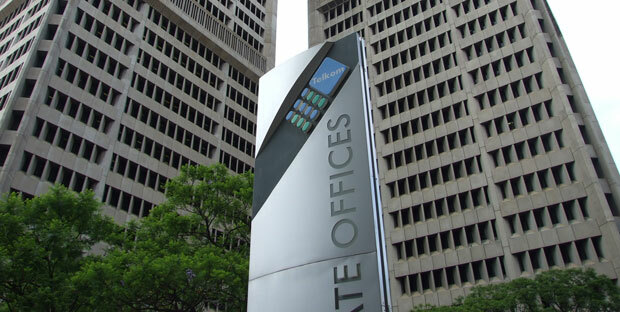 Analysts and other stakeholders in the information and communications technology sector said this week that not only had Telkom’s actions damaged the sector, it had also had a large impact on SA’s broadband penetration rate and on the economy by increasing the cost of doing business and ultimately costing South Africans jobs. “The impact of this conduct on the economy has been severe,” said Alison Gillwald, executive director of Research ICT Africa. Gillwald said SA had lost out on significant outsourcing investment because of its high cost of telecoms. Rudolph Muller of website MyBroadband said Telkom had held back competition for a long time and it was sad that it took years for the commission’s case to come to fruition. “It’s almost too late,” he said. Martin Versfeld, the head of Webber Wentzel’s competition team, said the odds were “good” that Telkom could face damages claims as a result of the judgment. “These are not insignificant firms that have suffered over an extended period of time at the hands of Telkom and they have the financial and legal resources to pursue a damages claim in the high court,” Versfeld said. “I would be surprised if they don’t do so.” Versfeld was referring to large companies such as Internet Solu­tions and MTN Business, which would have been affected by Telkom’s anticompetitive practices and might be able to quantify the damage to their business. “You may see a number of damages cases being combined into one hearing against Telkom,” said Versfeld. Attempts to get comment on the possibility of damages claims from these two companies were unsuccessful. However, a number of industry insiders, who did not want to be named, said there were rumblings in the sector that damages claims or a class action suit were being considered. One industry insider said there might be a move to use damages claims as a bargaining tool to get Telkom to agree to some restructuring conditions. “A structured separation between Telkom’s wholesale and retail arms would be ideal,” the insider said, but it was still early and the affected parties had to talk to each other and ascertain the appetite for a legal battle. One of the key questions affected parties need to establish is how to prove damages to their business. Another insider said most of the chitchat he had heard was about using the threat of a class action to get the local loop unbundled. Communications minister Dina Pule released a brief statement on the tribunal’s judgment this week. She said the fine would impact on Telkom’s finances, but the matter was now concluded and she was committed to working with Telkom to ensure the company was revitalised and contributed to achieving socioeconomic benefits for SA.